The purchase of this stamp/s will earn you 1,989 points valued at $39.78. 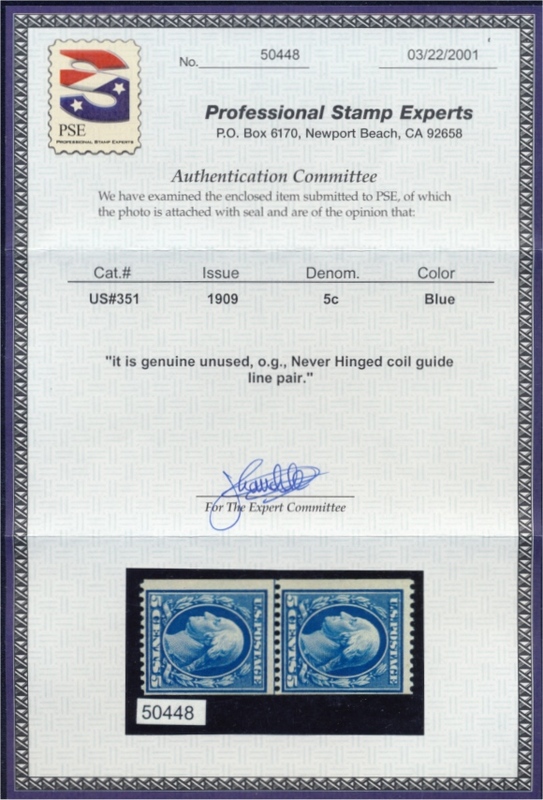 Never hinged coil line pair with Profession Stamp Experts certificate: "It is genuine, O.G., Never Hinged coil guide line pair." See photos.